When parents send their children to school, they expect that the school will do everything in their power to ensure that all pupils are kept safe at all times. An increasing number of schools are using CCTV systems to help with this. CCTV has undergone a number of technological advances in recent years which means that it has become much more useful for this purpose. There are a number of advantages to installing CCTV in schools, and some of these are described in more detail below. Having CCTV all around the school building and grounds can help ensure that children remain safe. The systems can record 24 hours a day, which means that they can be used to monitor things during schools hours and also at any extracurricular activities. 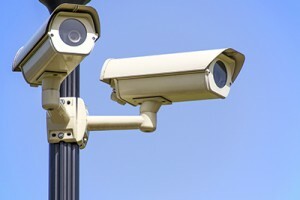 Having CCTV cameras installed in the school can help to reassure parents that the school is doing everything that they can to ensure that the pupils will be kept safe. Sometimes accidents can occur when pupils do not follow rules such as not running in the corridors, and CCTV can be used to make sure that these rules are being adhered to and that pupils stay safe whilst avoiding any potential accidents. Schools often have very expensive equipment such as computers and other electronics that can make them a target for thieves. If potential thieves can see security cameras around the outside of the building, then they may be deterred from attempting a burglary. If a break in does take place then any CCTV footage can be handed over to the police. This can mean that any culprits are apprehended more quickly and that any items that have been stolen are recovered. Although many schools now make it very difficult for people to enter the building, they can still hang around just outside the fences. It is something that people don’t like to think about, but there are people who would like to cause children harm that could watch them from outside the gates. Having CCTV that monitors the outside of the school can help detect anyone who is there that shouldn’t be. There is usually some degree of bullying that goes on in all schools. If pupils know that their actions can be viewed on CCTV, then they are less likely to carry out any bullying as they know there is a higher chance that they will be caught. If there is any disagreement between pupils about an incident that has occurred, then the CCTV footage should allow staff to establish the facts about what has happened. If there is an emergency in the school that requires an evacuation, then the CCTV footage can still usually be accessed remotely. This can allow staff to check that everyone has made it out of the building safely. If there is anyone still inside the emergency services can use this information to quickly locate the people that are inside and get them to safety. Footage can also be used in any investigation that takes place after the incident to see how it might have occurred. It is a sad fact, but there have been incidences where staff have been physically attacked by pupils. CCTV can act as a deterrent for any pupils that may be likely to do this as they know that their actions will be caught on camera. If there is an attack on a teacher by a pupil, then the facts of the case can quickly be established by using CCTV and it will not just be the word of one party against the other.